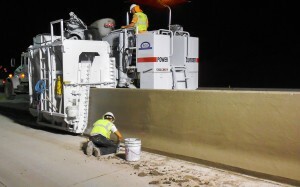 Phoenix, Arizona, commuters got good news early last spring when the Arizona DOT announced that the busy Loop 101 that circles the city would receive 30 miles of new HOV (High Occupancy Vehicle) lanes in each direction. When complete, Phoenix drivers would have more than 60 miles of HOV lanes to utilize during their daily commute. 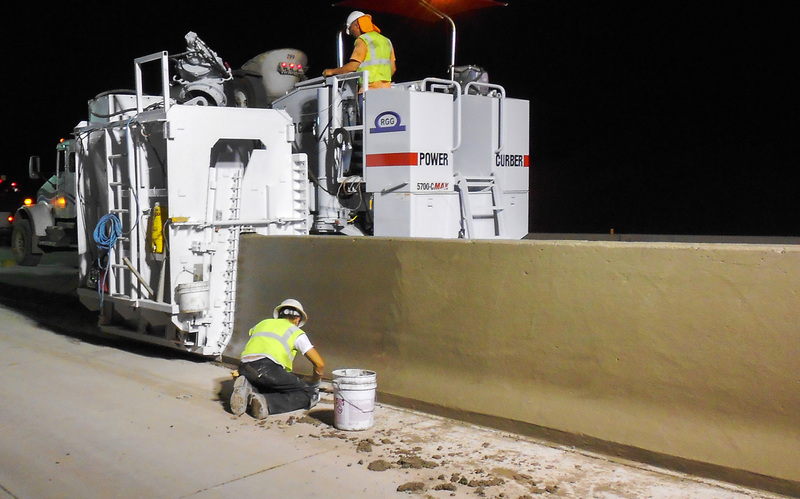 The project was admittedly ambitious as state officials targeted an 11-month completion time for the paving and barrier project. Like many urban projects with limited widths in which to work, architects used a variable barrier design ranging from 42” to 68” in height and over a steel cage. 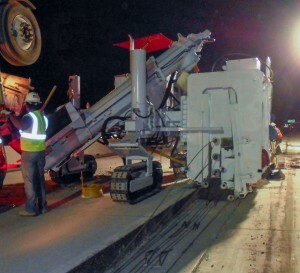 In anticipation of the job, RGG United Contractors of Glendale, AZ, traveled to Las Vegas to ConExpo to add a slip-form machine to its fleet from its usual manufacturer – a Power Curbers competitor. A visit to the Power Curber booth quickly changed RGG United President Martin Rangel’s mind. After studying the new 5700-C-MAX up close during the show, Rangel placed the order shortly afterwards and didn’t look back. Travelers were delighted as the project was completed in only eight months, well ahead of the targeted completion date. And Power Curbers, once again, made a believer of a new customer.